RSS Guard is simple (yet powerful) feed reader. 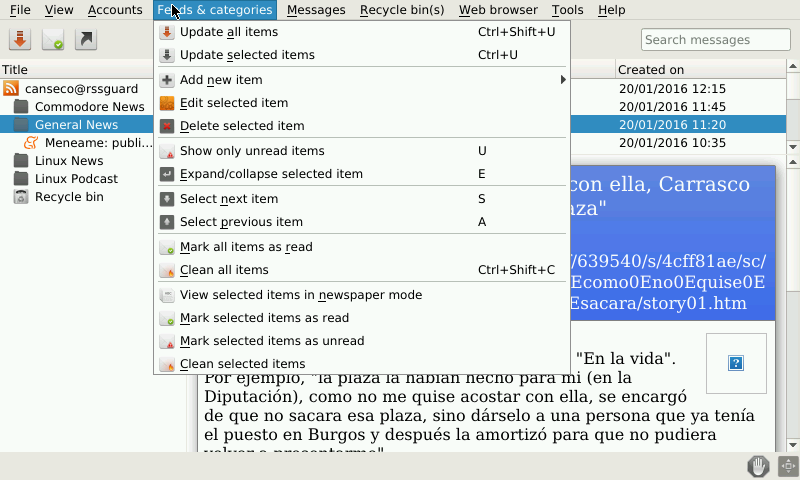 It is able to fetch the most known feed formats, including RSS/RDF and ATOM. 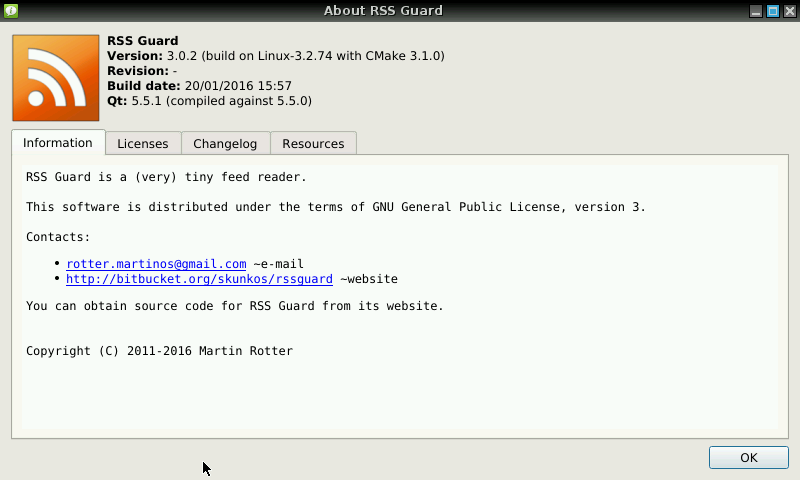 RSS Guard is developed on top of the [Qt library](http://qt-project.org/). - Latest stable release. Updated sources and previews. - WARNING: Backup your feeds before updating!!! - Removed appdata folders inside PND. - Latest stable release compiled with QT 5.6.0 with latest beta Codeblocks PND. - Latest stable release, compiled with QT 5.7.0. 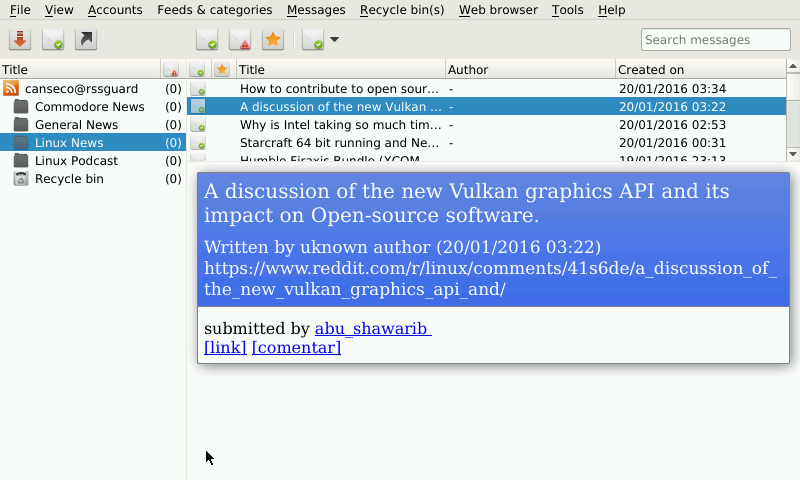 - Latest stable release, compiled with QT 5.8.0. Better and better with every update! So good! Remove appdata/rssguard after backup. Launch program and restore. Working perfectly now :) 5/5 ! Mkdir should use your user permissions on appdata. I will mdkir bin folder too.